You need a Costa Rica bird guide if you go birding in this beautiful country. Costa Rica is a long time favorite bird watching destination. If yes then, you must go to Scarlet Macaw or Resplendent Quetzal for a day or two for a great birding experience. 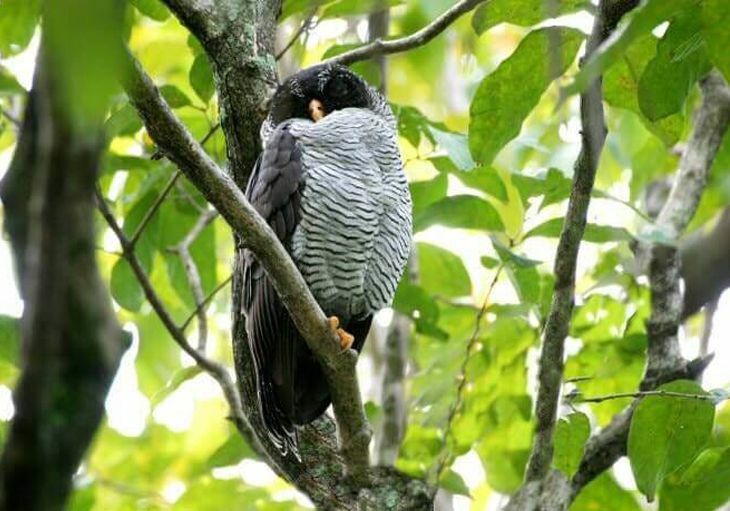 The country enjoys the colorful, diverse and profuse variety of birds thanks to its temperate climate and an atmosphere rich in flora and fruits. With more than 900 bird species, Costa Rica has become a paradise for bird lovers, photographers, and ornithologists. That is the reason why you will see a variety of Costa Rica birding day trips. You find not only excellent accommodations but also amazing forest facilities for making tropical birding an enjoyable task. Name any Bird & you get to see it there! Competent local Costa Rica bird guides are capable of showing you the vast varieties of Birds including Lattice-tailed Trogon, White and Black Owl, King Vulture, Black-crowned Antpitta, Yellow and Black Tanager along with dozens of other extraordinary bird species. The Costa Rica bird guides are very knowledgeable, they can do bird language and take you to the appropriate places for specific varieties of birds to make your birdwatching trip exciting and memorable. Whether an Ornate Hawk-Eagle or the King Vulture, glittering tanager or the beautiful hummingbird, there is an enormous list of birds of Costa Rica with exciting bird venues the country has to offer. Explore the most thrilling habitats in the country at Central Valley of Costa Rica. The breathtaking birding paradises like Scarlet Macaws and Carara National Park are only two hours away from the Central Valley. The indigenous of Talamancas and the Resplendent Quetzal are only one and a half hour drive away from San Jose. Besides, you reach the Braulio Carrillo’s beautiful Caribbean foothill forests in an hour from there. 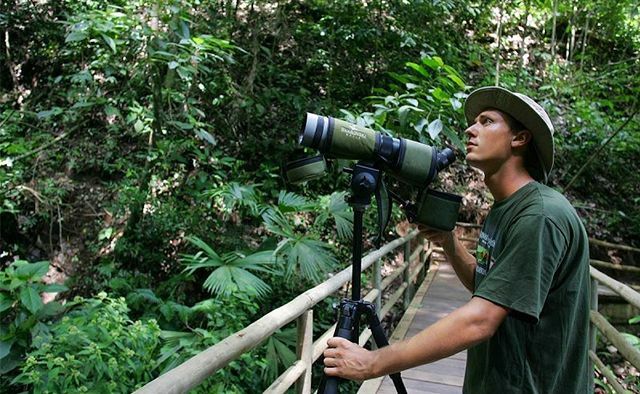 Every year, we organize many birding tours to take tourists to different parts of Costa Rica. We arrange the trips keeping in mind the individual requirements of a specific group. These include the exclusive bird sites, favorite bird species that most of the visitors wish to see, and a Costa Rica bird guide if needed. Why Select Costa Rica Focus? We, at Costa Rica Focus, offer both short and long tours customized as per the vacation length, particular site and preference of the clients. We work with the experienced Costa Rica bird guides to make your exploration incredible in Costa Rica. Our main aim is to satisfy our client’s needs and making their stay adventurous and pleasant. There are many Costa Rica tour guides that help you make beautiful memories with the chirping beauties. But what makes us stand apart from the rest is our passion to offer our travelers with the kind of holiday they want to enjoy! 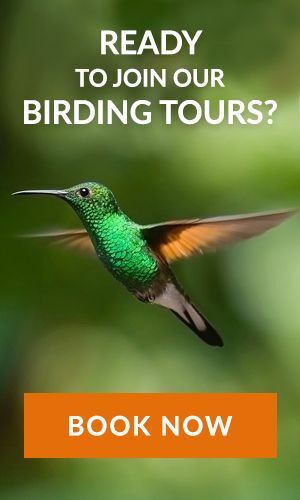 For more information on the customized packages or a Costa Rica bird guide, please contact us and we would be happy to provide you the Costa Rica birding itinerary as per your suitability.